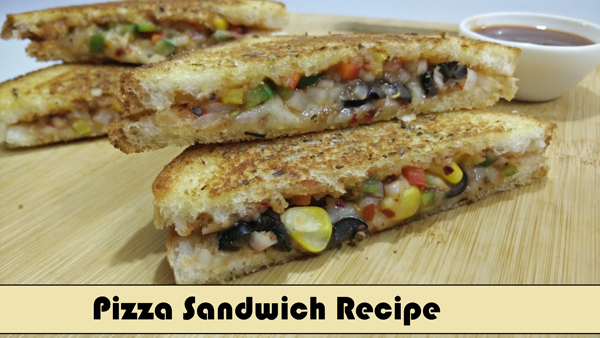 Pizza Sandwich Recipe made from Bread slice that tastes like Pizza, which will be liked by all. Kids love it too and so it is a perfect kids’ lunch box idea. It is quick to make, and it is very tasty.